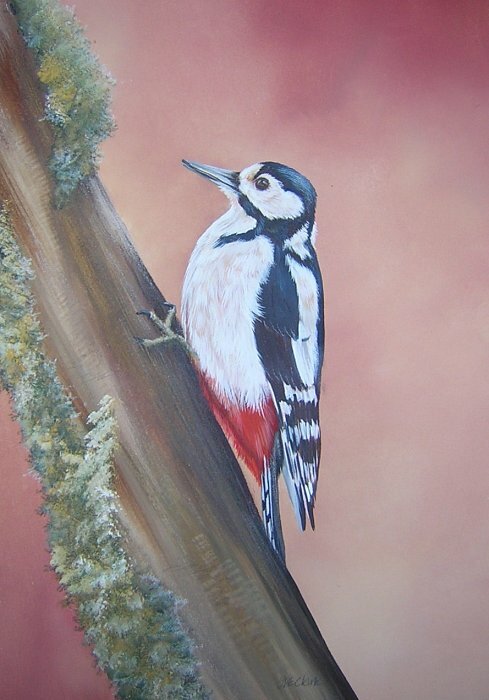 Helen has been painting professionally for over 10 years. 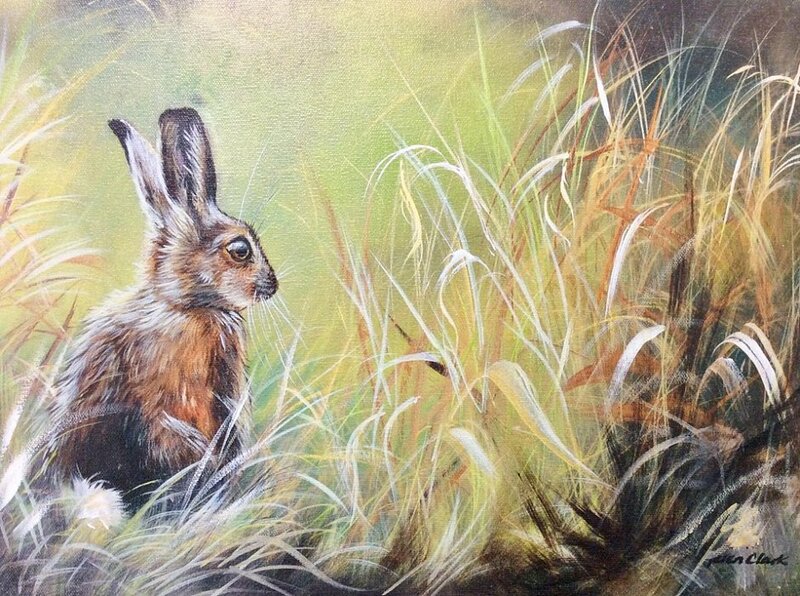 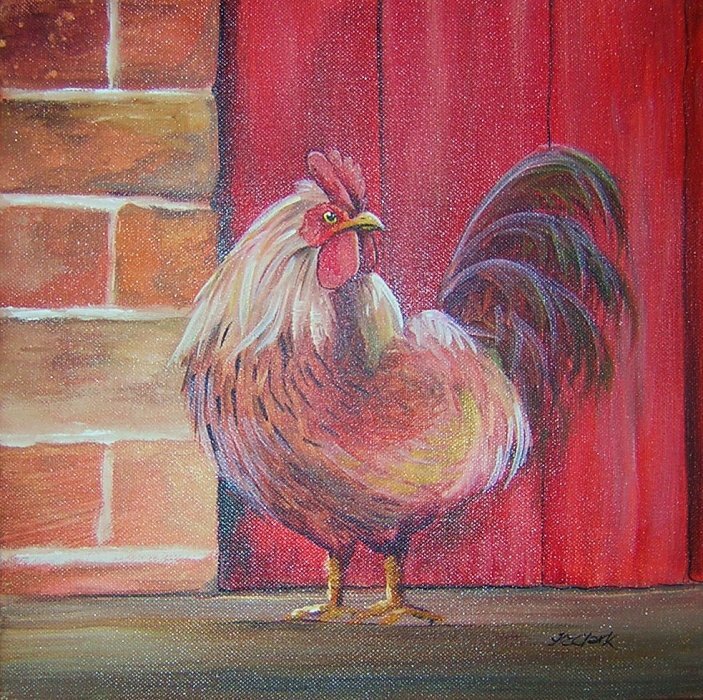 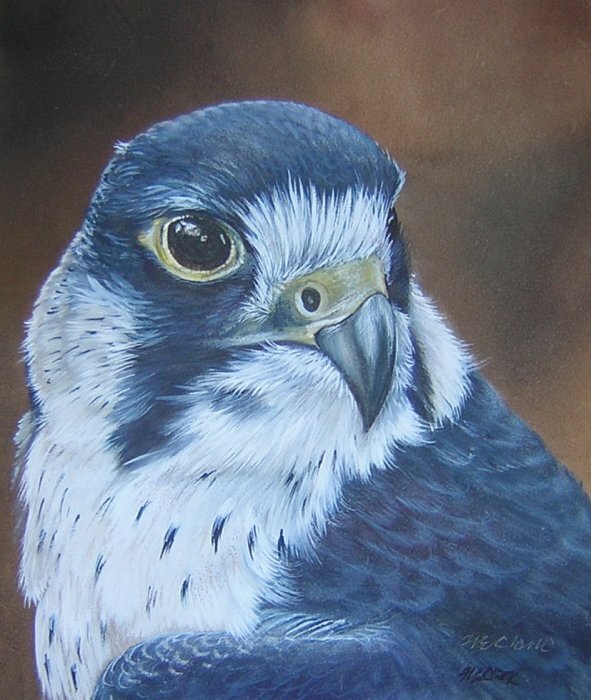 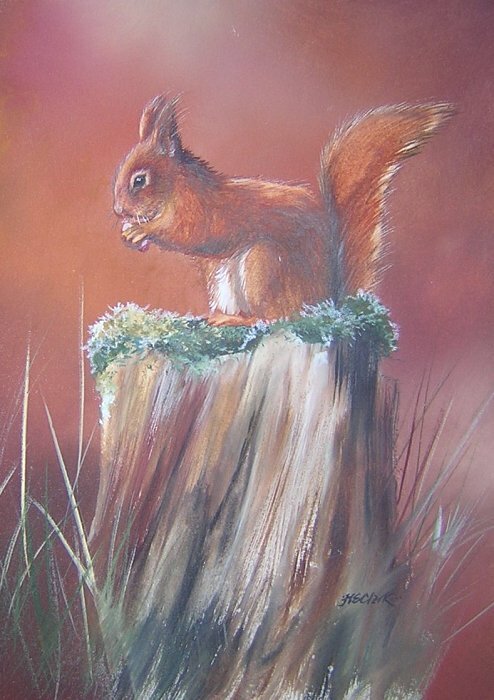 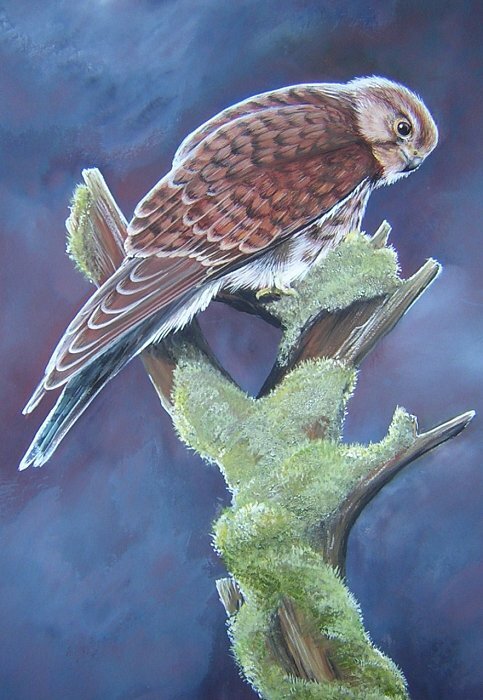 As a self taught artist, her work reflects her personality and reveals her love for the Natural World and it’s furry & feathered inhabitants. 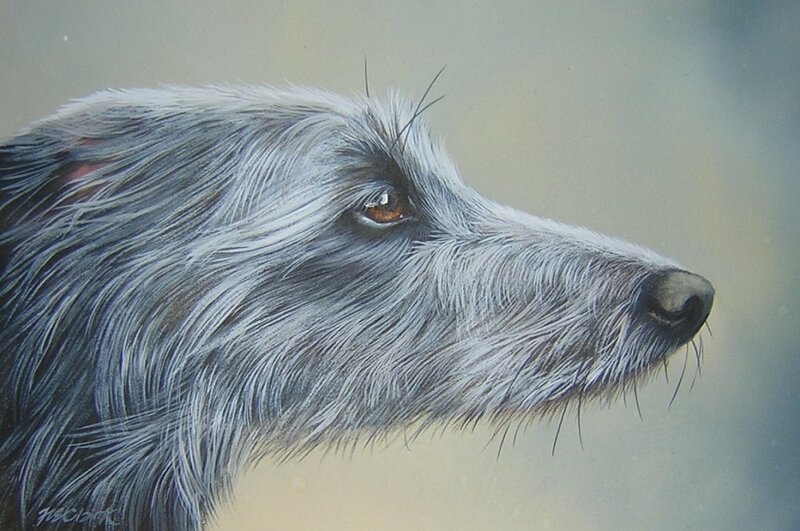 She has had several successful solo exhibitions and her paintings are now in collections on both sides of the Atlantic and new work is eagerly awaited. 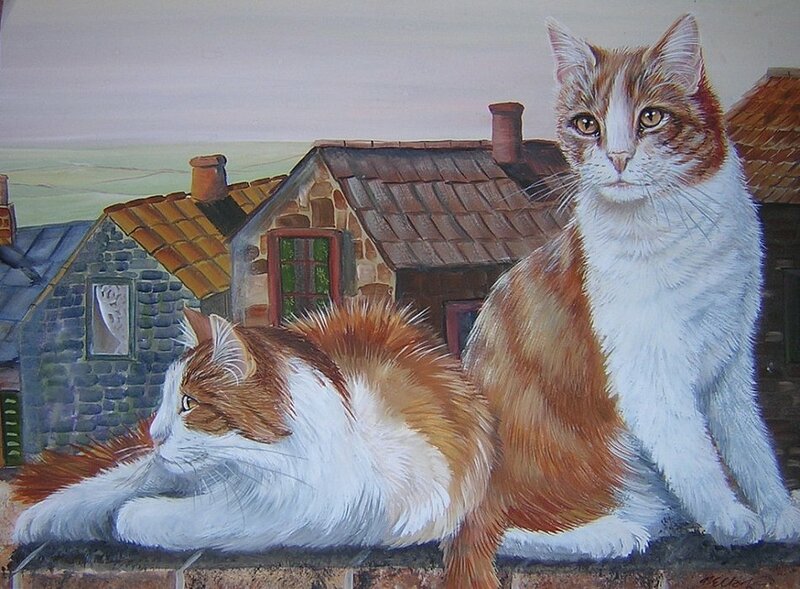 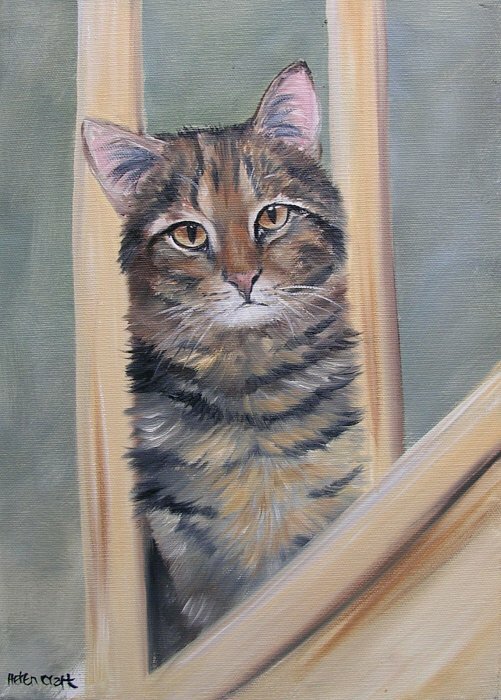 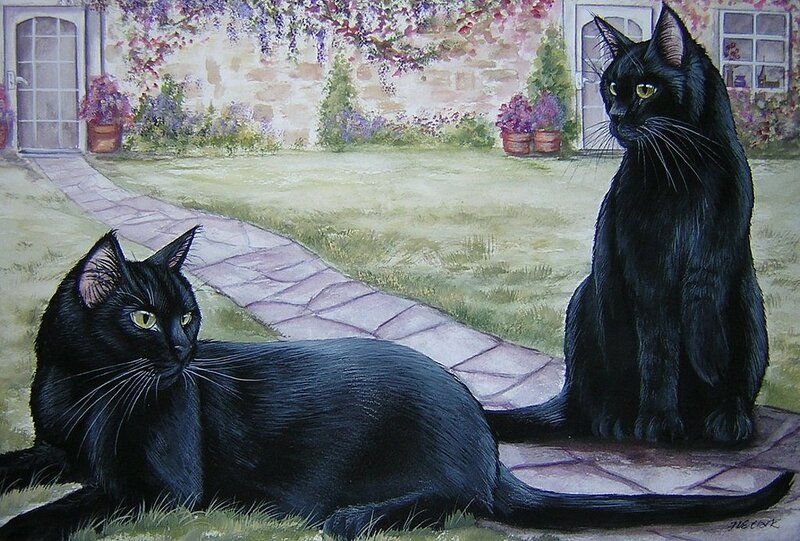 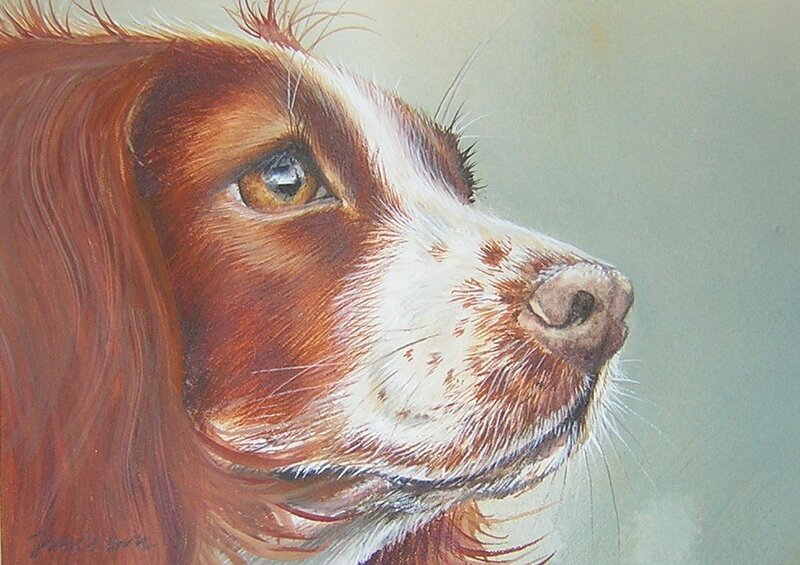 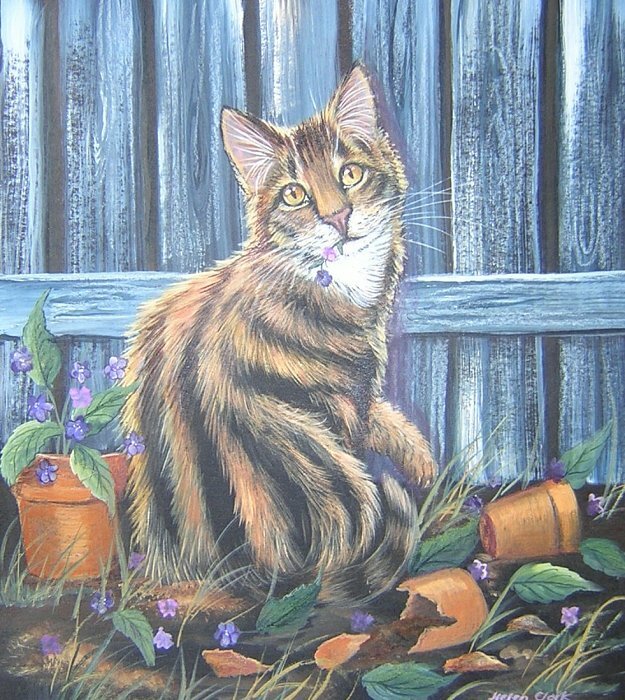 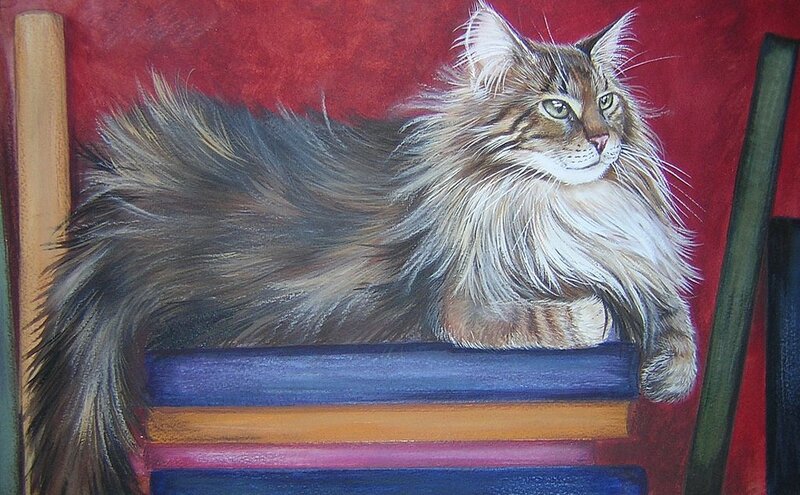 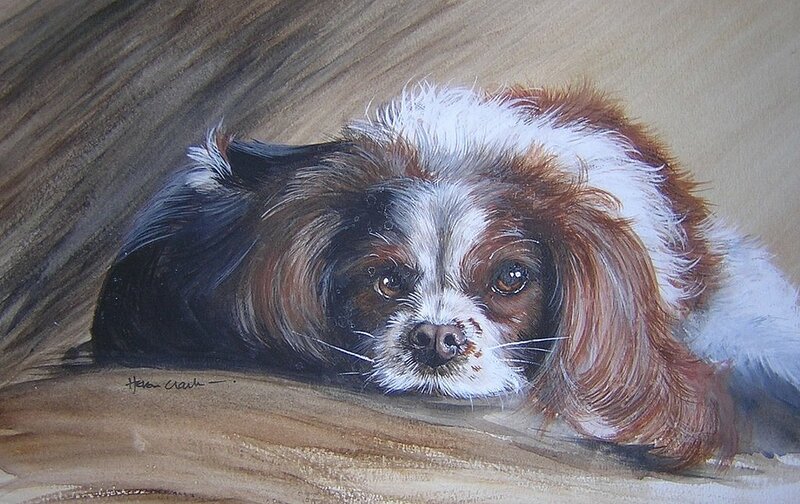 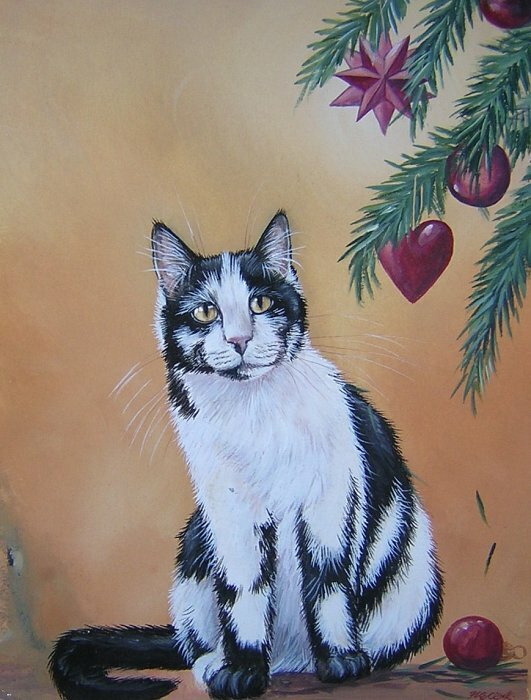 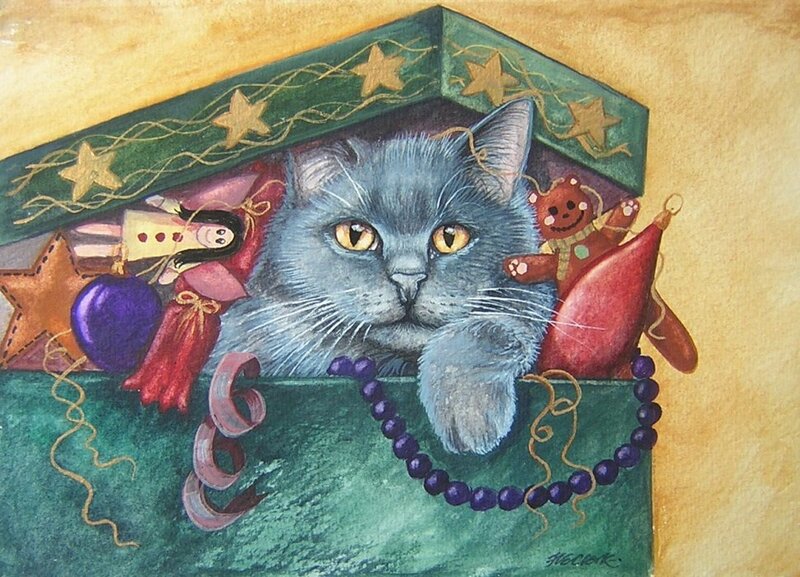 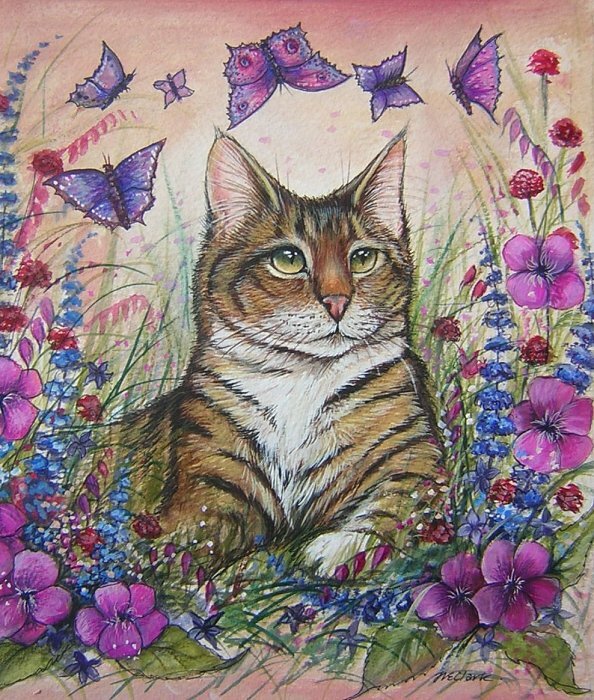 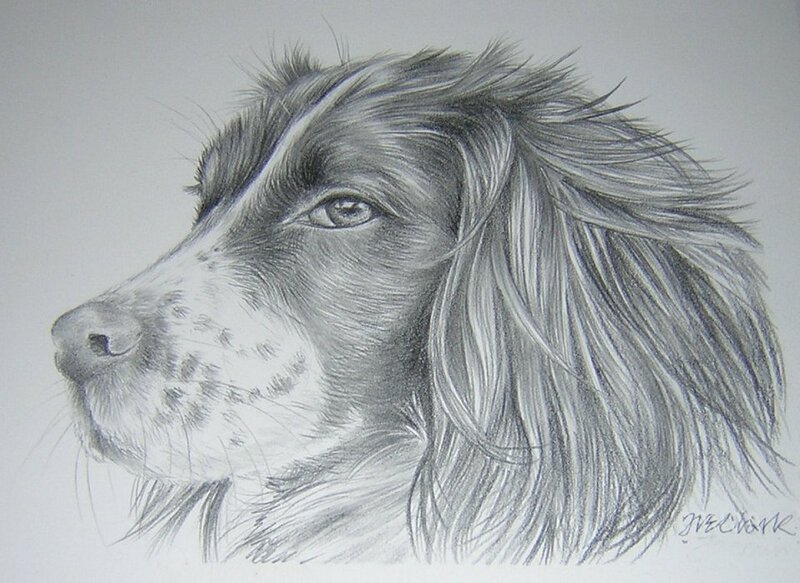 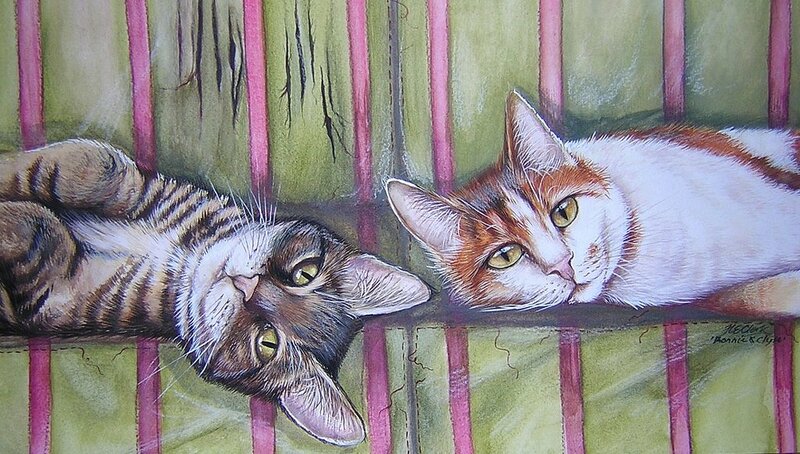 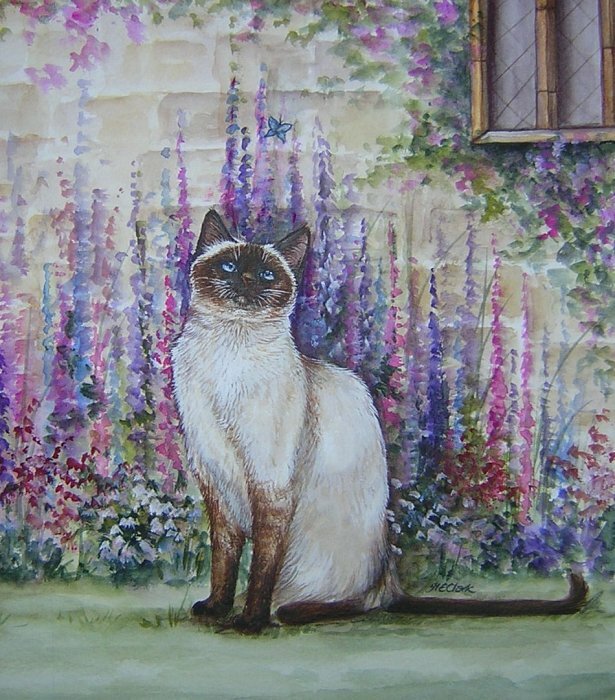 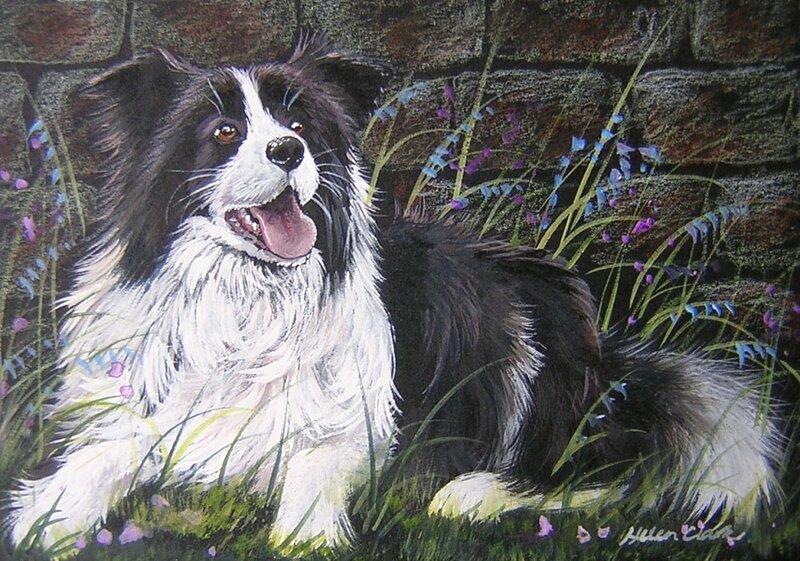 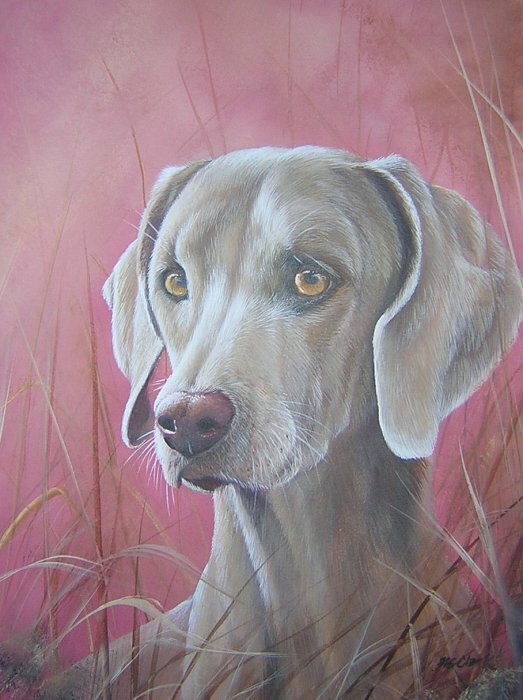 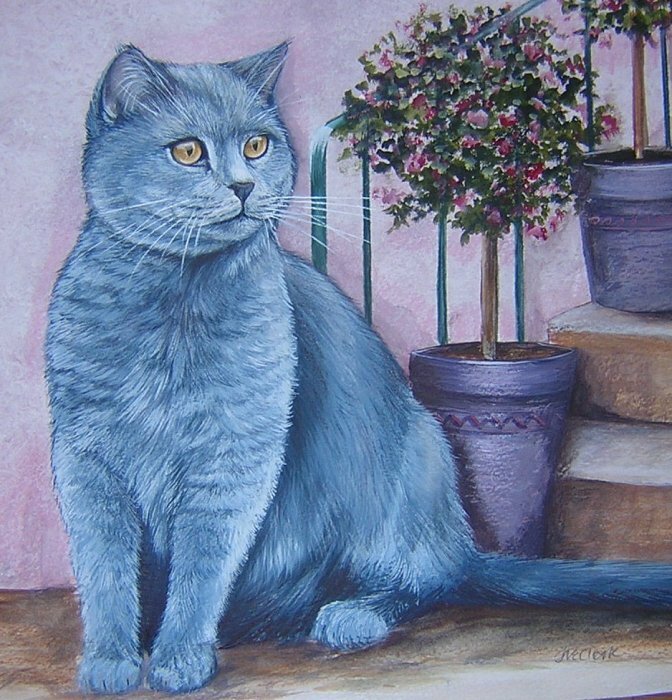 It is her passion for cats and dogs, evident in her detailed and animated pet portraits, that sets her apart as one of the UK’s leading pet portrait artists. 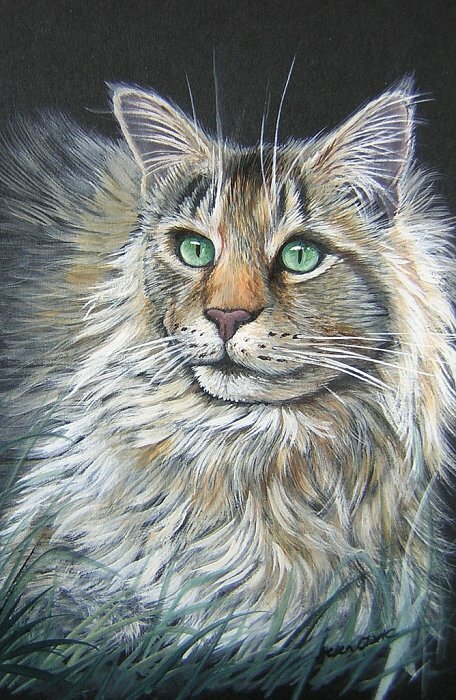 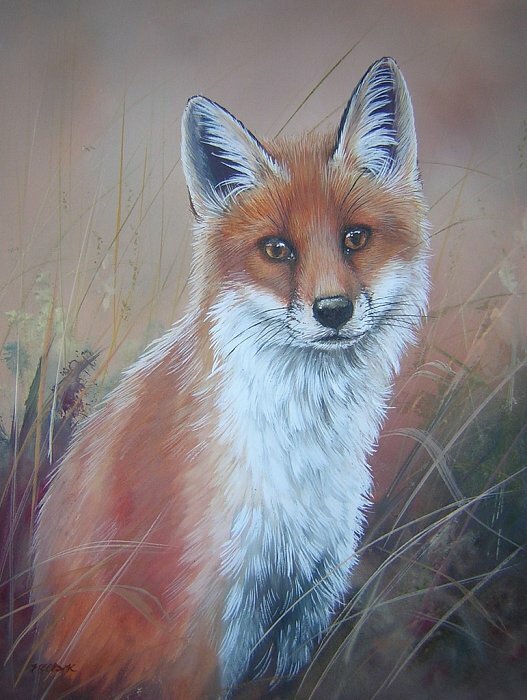 She aims to capture the personality of the animal she is portraying, slowly layering the oil paint with hundreds of tiny individual brush strokes to reflect the luxuriant fur or feathers of the subject she is painting. 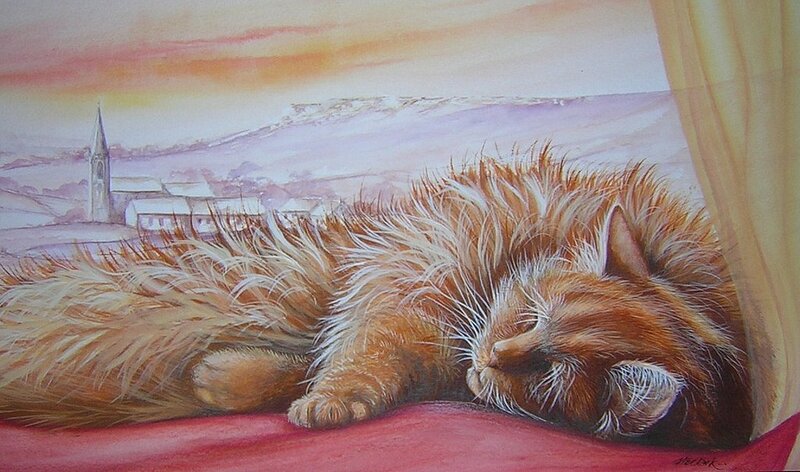 By Helen Clark - Watercolour 17" x 12" £350 "
By Helen Clark - Watercolour 16" x 9" £375 "